Moscow is the 860-year-old capital of Russia. A truly iconic, global city, Moscow has played a central role in the development of Russia and the world. For many, the sight of the Kremlin complex in the centre of the city is still loaded with symbolism and history. Moscow was the capital of the former Soviet Union and signs of its previous life are very visible even now. Yet, there's more to Russia and its capital than just memories of the USSR. Architectural gems from the time of the Russian Empire are still dotted throughout Moscow, whilst signs of modern Tsars (or at least people with similar levels of wealth) abound. Moscow is the financial and political centre of Russia and the countries formerly comprising the Soviet Union. It has a population of around 13 million and an area of 2,511 km2 after an expansion in 2012. 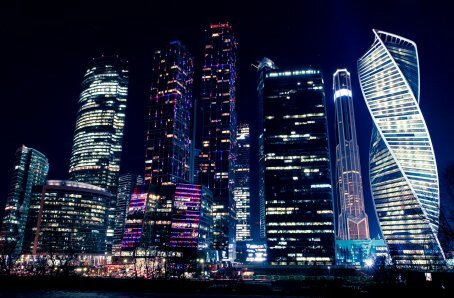 One-tenth of all Russian citizens live in the Moscow metropolitan area. Moscow time is 3 hours ahead of GMT. Moscow is the second most populous city in Europe, after Istanbul.